As minimal kit as possible. Run the smallest handlebar and seat bags possible for a nimble bike. Store quick snacks in cockpit, stash bulky lightweight items in a small seat bag. Shred. Lots of easy to access storage for food and water. Hydration bladder, arm / leg warmers in frame bag. Food everywhere else. Nothing on your back. 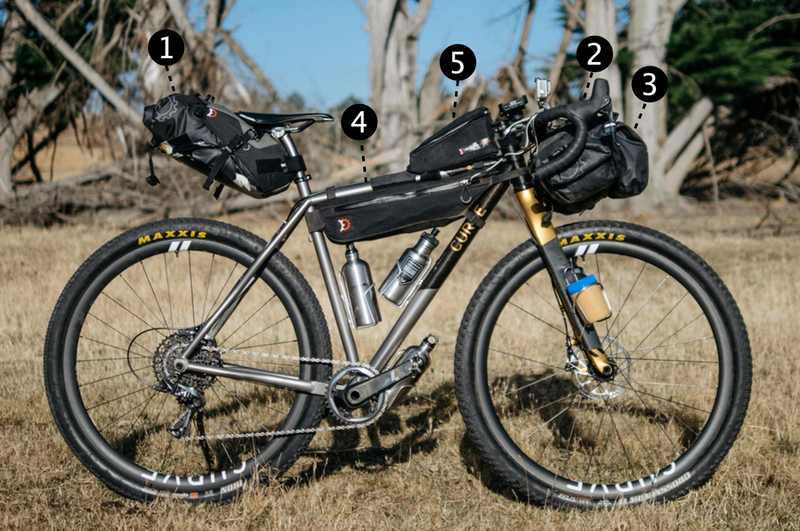 A multi-sport adventure calls for a modular setup with the ability to strip the load easily. 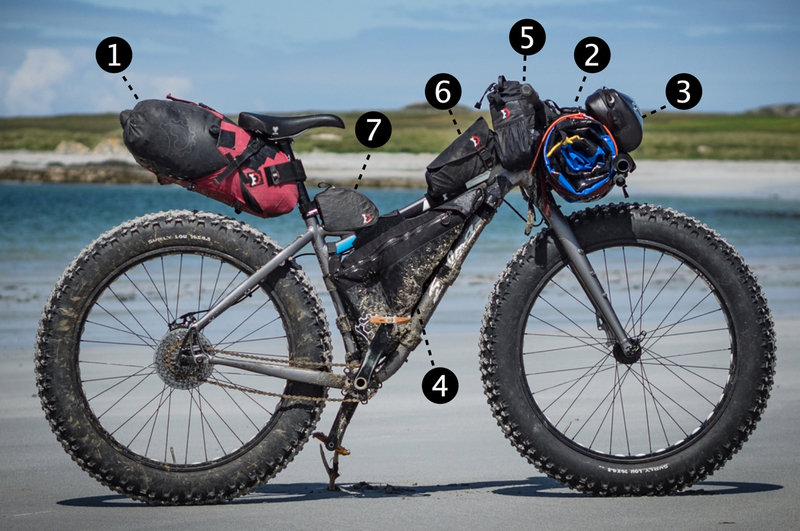 A decent size pack can be fairly empty when riding but loaded up with everything to lighten up the bike when pushing, bushwacking and bikerafting. A balanced load for long days in the saddle. Sleeping gear in waterproof front bag. Shelter and spare clothing in seat pack. Food, water and spares everywhere else. Ample storage room for additional food & water if needed. Ready to carve canyons with this straight forward set up. 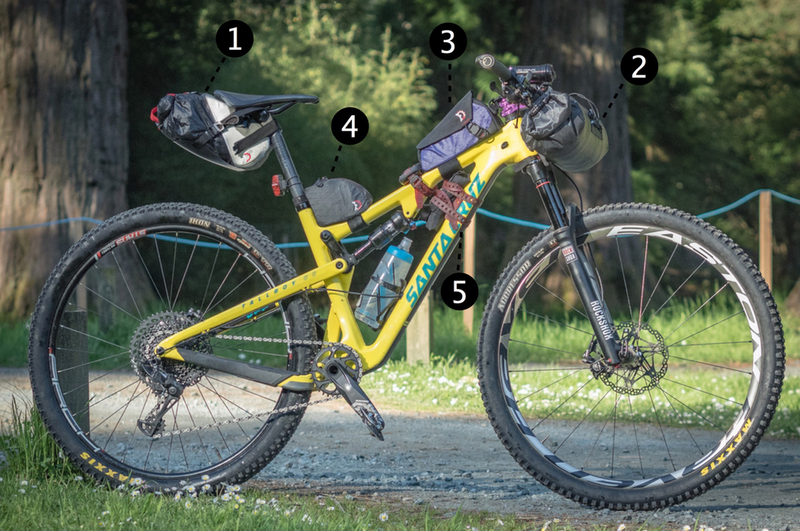 All the major players, frame bag, seat bag, and handlebar kit to store the necessities. 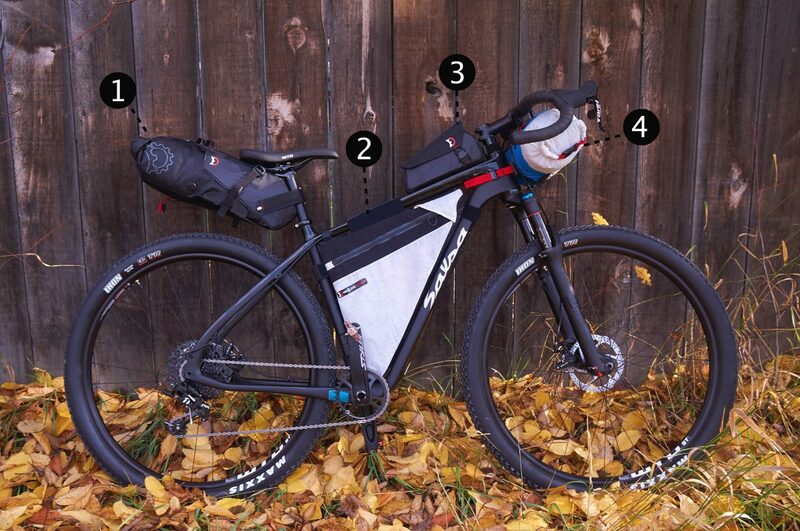 Load up your frame bag with a hydration bladder and food, layers and shelter on the bars and seat bag. This small frame has maximized capacity. 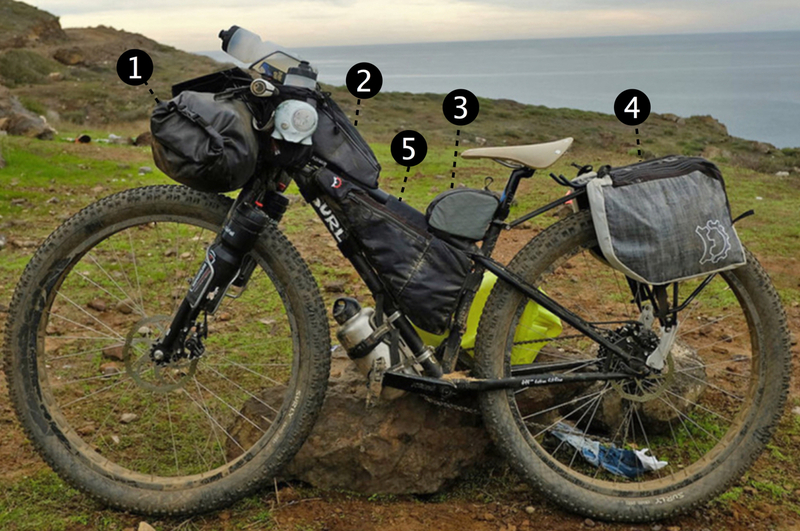 Load your nano panniers and frame bag up with food and water, extra layers and sleeping system in the front. Extra water everywhere, it’s hot and dry down there! Keep it minimal, keep it light! 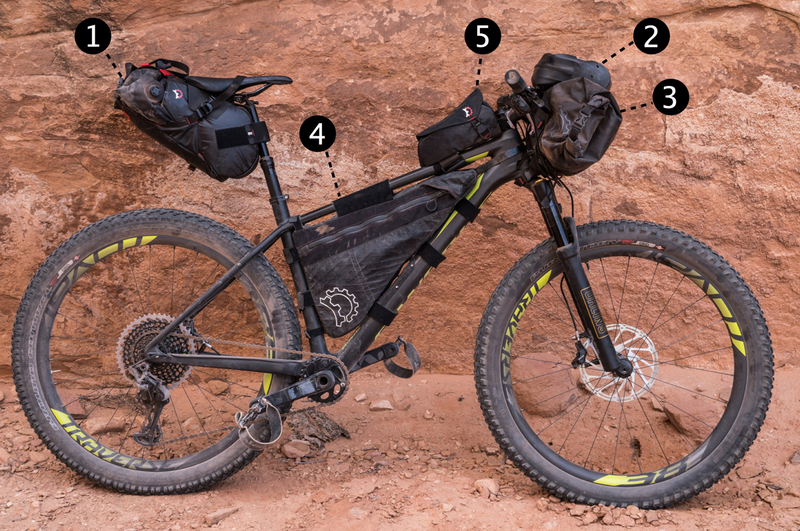 Keep your sleeping kit dry and protected in the Pronghorn handlebar system. Extra layers fit in the 8L Terrapin seat bag easy access curing your ride. The Mag-Tank is key for on the go refueling. 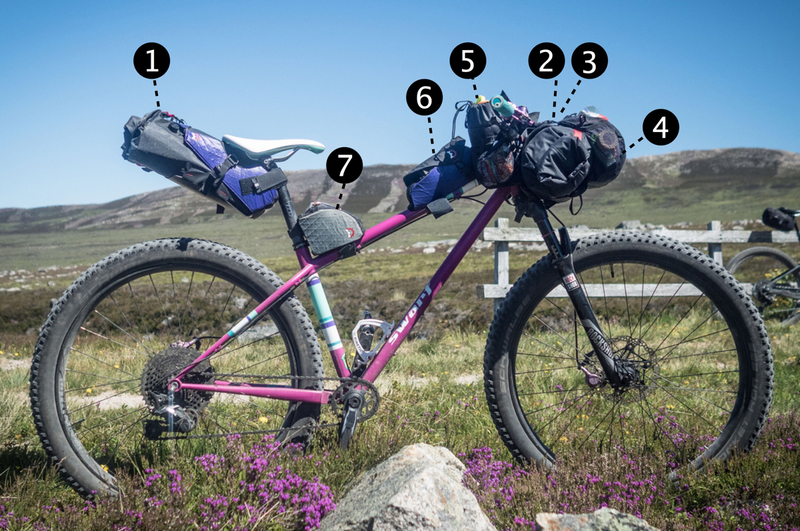 Fill your frame bag with extra food and water to cut down on re-supply stops. Now all you have to do is keep pedaling! 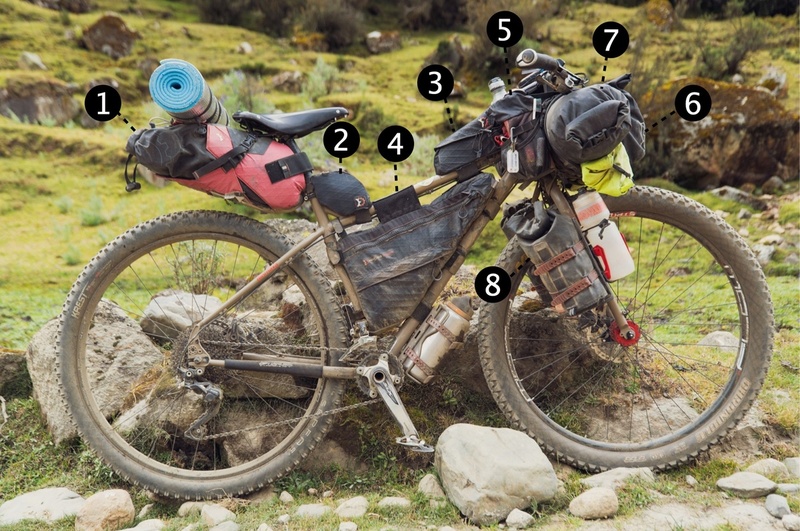 Touring the Americas bikepacking style means you are ready for any combination of terrain that comes your way. Dirt, pavement, and hike-a-bikes are all within the realm of possibility as you travel with everything you need, and nothing you don’t.